Oh, Adobe … how you annoy me! First Adobe floats the idea of charging for a CS5.5 update on top of CS5. 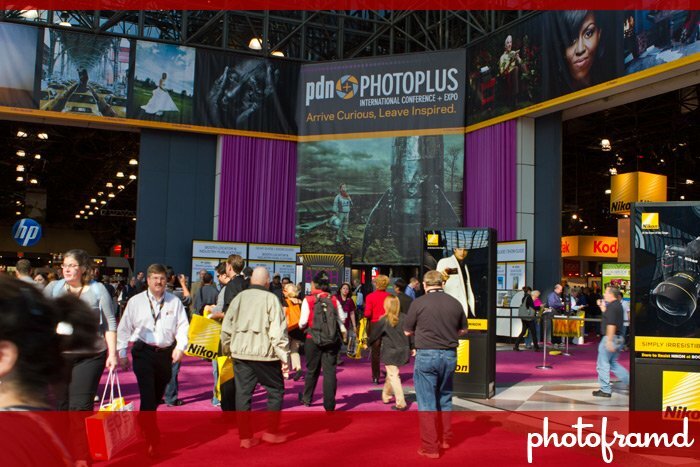 Now, for the second year in a row, Adobe will not be exhibiting at PhotoPlus Expo 2010. After registering for PhotoPlus Expo 2010 last week, I clicked around the website to find the Exhibitor list. These lists are always preliminary, especially this early. But, the anchors are always listed … Canon, Nikon, HP, MPIX, Sony, etc. And, there are plenty of software companies and services listed … Topaz Labs, OnOne, Nik, Photoshop User (NAPP), Photoshop Cafe, etc. But, no Adobe who in the past has even been a show sponsor. After pulling out of last year’s show, several companies followed suit. As a result, last year’s show was pretty disappointing. But, this year was supposed to be different. Several Adobe reps had previously said that the company would definitely exhibit at the next show. And, Adobe released the whole CS5 Suite this year, so promoting the Suite at one of the top trade shows for the digital photography and imaging community makes sense. Isn’t this your target audience Adobe?? According to Adobe.com’s Live Events section, Adobe will instead be hosting a 5-day event called Adobe Max 2010 in Los Angeles, CA on October 23-27, 2010. Does this mean Adobe chose a conflicting date for Max? Is Adobe abandoning the East Coast to create their own event? Macromedia had started this trend years ago even when Adobe continued to exhibit at PhotoPlus. It would be very concerning if Adobe has now adopted it. Next → Next post: Canon 7D Tips – How fast is your Compact Flash Card?